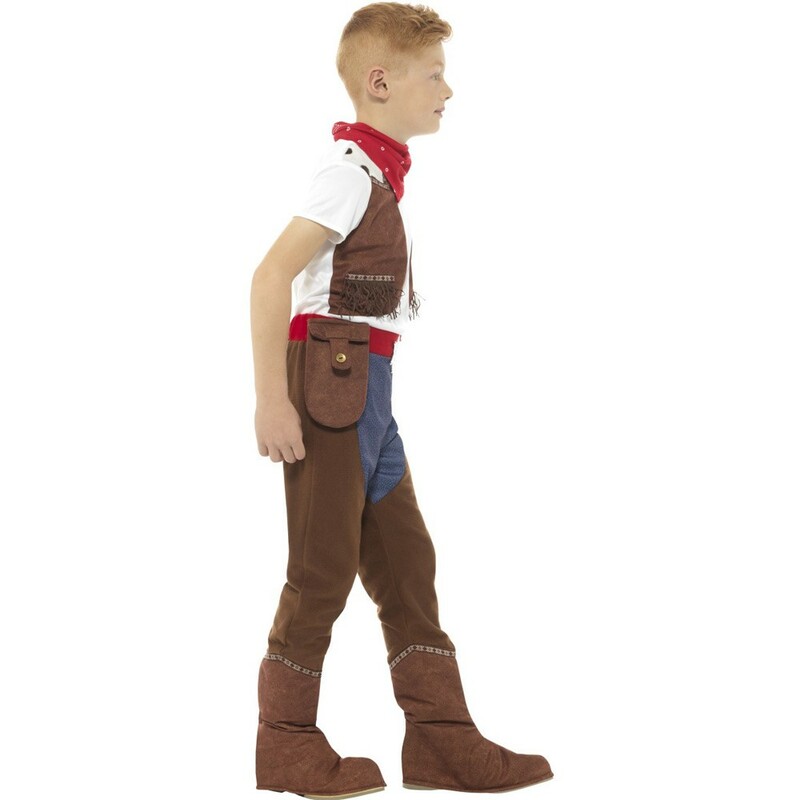 Let the children have hours of fun with this great Childs Cowboy Outfit that includes a top, trousers with attached boot covers and a red necktie. 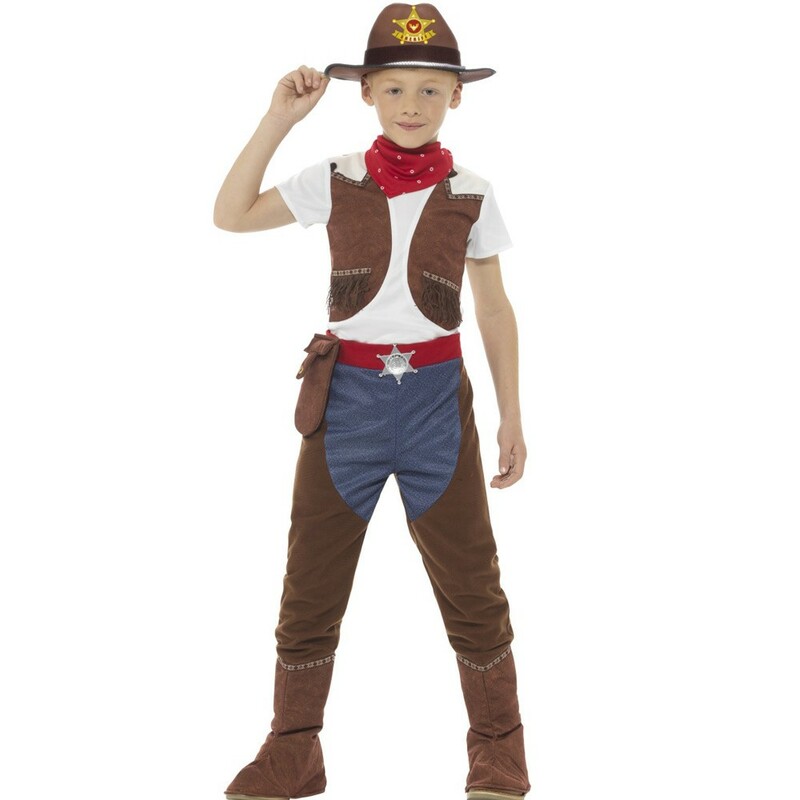 This great Childs Cowboy Outfit will be a fantastic addition to any child’s fancy dress wardrobe. This Childs Cowboy Outfit comes with Top, trousers and Necktie. The photo realistic trousers are printed with a pair of chaps with attached boot covers over a pair of jeans and finished off with a photo realistic belt. The top on this Childs Cowboy outfit is also a photorealistic print made to look like a brown fringed waistcoat with a white t-shirt underneath. The finishing touch to the Childs Cowboy Outfit is a lovely red necktie. The cowboy hat is available to purchase separately. Top, trousers with attached boot covers and necktie.